Gluten Free Watchdog has no affiliation with either Biomedal/Glutenostics or ImmunogenX. The study, “Determination of gluten consumption in celiac disease patients on a gluten-free diet” was recently published in the American Journal of Clinical Nutrition. In the opinion of Gluten Free Watchdog this is one of the more significant studies published on celiac disease and the gluten-free diet in recent memory. It is the first study that attempts to analytically determine the actual amount of gluten consumed by a sub-group of individuals with celiac disease. What researchers did: Researchers analyzed prior clinical data to determine how much gluten is accidentally consumed while on a gluten-free diet. They conducted a meta-analysis on data from studies involving measurements of gluten in stool and urine and trials for the investigational drug latiglutenase. Keep in mind that in the US, it is recommended that folks with celiac disease consume no more than 10 mg of gluten per day. This is approximately equivalent to 17 one ounce servings of labeled gluten-free food containing just under 20 parts per million of gluten. What researchers concluded: Many individuals following a gluten-free diet regularly consume sufficient gluten to trigger symptoms and perpetuate intestinal histologic damage. Note from Francisco Leon (one of the study authors): Not all recurrent symptoms while on a GFD are due to gluten. Many cases are due to other co-morbidities (bacterial overgrowth, pancreatic enzyme deficiency… and even true refractory celiac disease) or dietary causes (low fiber intake, for example, see recent article https://www.ncbi.nlm.nih.gov/pubmed/29505551 – these patients are not the patients we studied, these have healed mucosa yet persistent symptoms). Assessing gluten consumption is a first step in the evaluation of recurring symptoms by patients and clinicians. If there is clearly no gluten consumption yet symptoms persist, more invasive exploration is warranted to identify the cause of the symptoms. 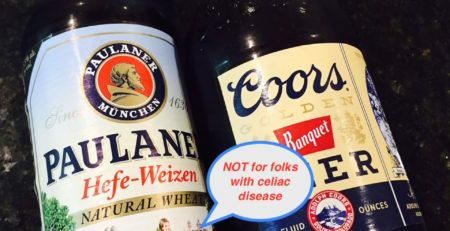 Gluten Free Watchdog reached out to Francisco Leon, one of the study authors and the co-founder of Glutenostics and Jack Syage, corresponding author and CEO and co-founder of ImmunogenX. What follows is a Q&A with Dr. Leon and Dr. Syage. What is the main strength of the study? FL: The medical community has known for a long time that patients with celiac disease are frequently exposed to gluten. In most studies, 30 to 50% of patients on a gluten-free diet have intestinal mucosal atrophy, and these patients heal completely if monitored closely. This proves they were getting contaminated. The article’s strength is that it quantifies the amount, and that is extremely valuable not just for patients but also for companies developing medications. Now we know how much gluten we need to counteract. What is the main weakness of the study? FL: The calculation is indirect. It’s a meta-analysis and relies on a mathematical model. Directly measuring gluten in food, stool and urine will give us more direct information. Such a study is currently underway. JS: On the whole it should be realized, and I hope we make this clear in the paper, that there are many assumptions and approximations in determining consumed gluten so this can only be considered a semi-quantitative analysis at best. It is the best we can do with the available data. I think the model is sound and hopefully new data can be generated with this model in mind to refine the analysis. In one of the studies used in the meta-analysis about 30 to 40 % of participants were classified as having moderate to severe symptoms (based on various criteria including frequency of diarrhea, constipation, etc.). Do you believe this percentage in generalizable to the entire population of folks with celiac disease? FL: Yes, I believe the percent of 30-40 is extrapolable to the general population based on all of the studies available to us. JS: In the Alvine/AbbVie ALV003-1221 trial about 2000 patients were screened and about 30-40% had moderate to severe symptoms as measured by a CD-specific symptom patient reported outcome questionnaire. These patients were further screened for histologic damage that reduced this number to about 25% of the screened patients entering into the trial. Were the participants with high levels of gluten in their stool and urine considered non-compliant with the gluten-free diet? 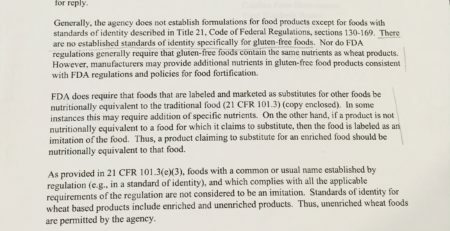 FL: Yes, by definition, these patients are eating gluten (in small amounts), so they are not compliant, but they are not necessarily “cheaters”. It’s contamination for the most part. JS: Keep in mind if an average non-gluten-free diet is say 15 g then 99% success at compliance is still 150 mg of gluten sneaking in, an amount considered unsafe. Had the participants who were considered non-compliant received counseling services from a dietitian on the gluten-free diet? FL: This is the worst part; most of these patients were followed at some of the best centers in the US and abroad, so it’s likely many of them had received counseling. Do we know how much gluten is consumed by folks with celiac disease reporting mild symptoms? FL: Celimmune looked at gluten in stool in celiac patients with no or mild symptoms in our NRCD-001 study, using a different definition. About 20 % of the patients in this study had mucosal atrophy, and of those we detected gluten in 20 % only – suggesting they were eating gluten only occasionally, but enough to trigger atrophy. We did not get a precise quantification, only positive/negative. Members of the Gluten Free Watchdog community asked the following two questions due to interest in transparency. Were patients advised during the study enrollment period that researchers had various relationships with the manufacturers of the drug and test kits prior to enrollment? FL: Patients were of course informed of the sponsorship by Biomedal and Alvine of the respective original studies. The meta-analysis study is retrospective, and patients had consented to let researchers use their data in future celiac research by the sponsors and their collaborators. Then Immunogenx bought Alvine and Biomedal partnered with Glutenostics (companies which did not exist at the time of the original studies). How might the interpretation of the data by study authors be influenced by relationships with these companies and the desire to illustrate the importance of monitoring stool and urine for gluten and the importance of developing drug treatment for celiac disease? FL: Of course, there is bias in everything we do, but ImmunogenX (who drove the study) would in any case be interested in finding as low a contamination as possible (to claim their drug will be able to treat) so the bias -had it existed- may have been to minimize the amount of gluten – and yet we found a lot. Certainly Biomedal and Glutenostics are interested in showing there is contamination, but that’s well known already. JS: In our minds there were two motivating factors behind this study: (i) how much gluten is being consumed on a gluten-free diet so we know how to design our real-world trials to provide doses that are sufficient to protect against these unintended exposures and (ii) in gluten challenge trials are the gluten intakes representative of real-world intrusions so that if these trials are successful one is confident it will have real therapeutic value. 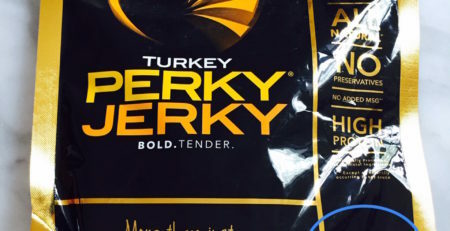 This is an interest of the FDA as well. Thank you to Francisco Leon and Jack Syage! How does this analysis change my opinion about drug therapy for celiac disease? 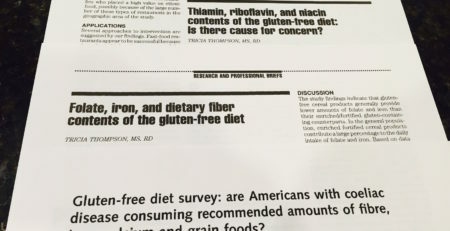 What does this analysis say about how folks with celiac disease are being counseled to follow the gluten-free diet? How can we do better? What might this analysis mean about the foods folks with celiac disease are eating? What might this analysis say about the levels of cross contact in naturally gluten-free foods, such as grains and legumes? What might this analysis say about foods that are the trickiest to test for gluten? Are we not detecting gluten when it is present? What might this analysis say about gluten levels in food—might levels be higher than gluten test results indicate? What can we do to make eating outside of the home less likely to result in cross contact with gluten? We will continue to watch for future studies. In the meantime, please adhere to the gluten-free diet to the best of your ability. 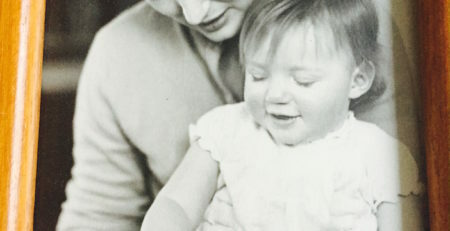 Hi Tricia – saw this article but hadn’t read it yet. Thanks for doing the leg work on it. I’ll read it this week. Another question in my mind has to do with the sampling procedures for the samples being tested for gluten. As we have had several discussions in the past about “hot spots” which could happen in products at risk of cross-contamination – not just oats. 100% agree Beth. Sampling must be improved for all grains and legumes. The question is how best to do this. AND should we be testing all grains and legumes following the testing protocol for oats (200 grams homogenized, 1 gram extractions tested). Fascinating study. Thank you for the summary and the interview. On an anecdotal level, I only felt truly better after I purged my kitchen of all plastics and wood. I resisted this step of the celiac process for a long time because it seemed ridiculous to me that enough gluten could be hiding in the cracks of my cutting boards and the scratches in my tupperware to make any impact. Plus it was expensive! I felt so much better a few weeks after the purge that I concluded there really was enough gluten there to nickel-and-dime me into a reaction. So many people (women, especially) maintain mixed kitchens because other members of their family refuse to eat gluten free or the family cannot all afford to eat gluten free. I imagine that has an impact on outcomes too. To clarify, I replaced all the tupperware and bought all new cutting boards, wooden spoons, etc. Even if I ate no grains and had a dedicated kitchen, all of the grocery stores in my area have the produce department next to the scratch bakery. I would be interested to know how often the individuals tested were eating meals out of the home. I am fairly certain that any cross-contamination that I experience happens when I am not making the food in my own kitchen, and I am trusting my health to busy staff in a restaurant kitchen who may know nothing about keeping a clean work area, separate utensils etc. Also how careful were the subjects about eating packaged food that is labelled ‘May contain traces’ etc…? Through a process of trial and error I realized that in addition to my gluten allergy that I was also allergic to soy. It was not until I completely eliminated soy as well as gluten that I became symptom free. As Francisco Leon (one of the study authors)states above: Not all recurrent symptoms while on a GFD are due to gluten. 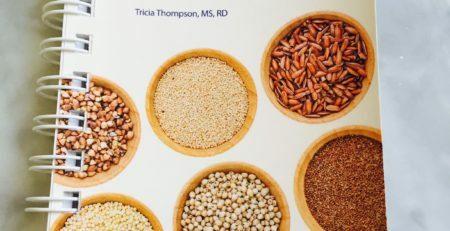 Many cases are due to other co-morbidities (bacterial overgrowth, pancreatic enzyme deficiency… and even true refractory celiac disease) or dietary causes (low fiber intake, for example, see recent article https://www.ncbi.nlm.nih.gov/pubmed/29505551 – these patients are not the patients we studied, these have healed mucosa yet persistent symptoms). Tricia: Thank you again for being our GF Watch Dog. This article synopsis is excellent. 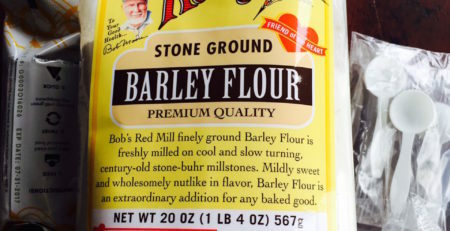 Has led me to explore my own GF exposure to accidental gluten. Had a recent outbreak of DH after eating potato chips and drinking Green Mountain Breakfast coffee made in my Keurig coffee maker. I have eliminated both and will challenge in a few days individually to see which may have triggered this outbreak. My gastroenterologist just started me on rifaximin for a week to rid my small intestine of bacterial overgrowth and I have added Metamucil for extra fiber to see if this will eliminate (no pun intended) my GI distress. Sorry to hear this, Joanna. Please keep us posted. Hope you are feeling better soon. Hi Joanna – I recently have been drinking Green Mountain coffee from a Keurig (and eating potato chips) after avoiding both for some time. I am a relatively newly diagnosed celiac and was sticking to whole foods in an attempt to heal. I figured after a few months it would be ok to reintroduce both to my diet. Needless to say, the past few weeks have been absolutely miserable. I would be very interested in any follow-up you may be able to share. Unfortunately, I have too many other variables impacting me currently (just moved in to new home with oven I cant sanitize/run self-cleaner on). Needless to say, i will be eliminating most everything and starting fresh to see if i can figure this out…. 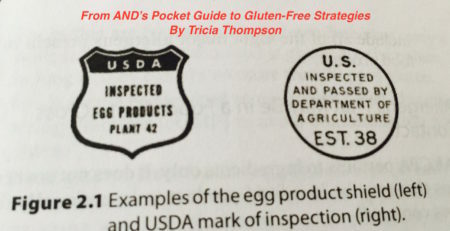 Curious if they measured tTG-IgA/EMA to back up the gluten excretion. I recently had some symptoms I thought were from a non-celiac condition, but as a routine screen they tested me at weak positive (9u/ml). Is there any research on how much gluten intake would cause that rise (from the negative range)? I’m not sure I understand that–is that saying that the conclusion that people following a GF diet are consuming gluten is based on nothing more than a theoretical mathematical analysis, rather than actually measuring the amount of gluten in stool/urine/etc? If so, is there perhaps not quite so much cause for alarm? Hi Dave. No, this is not what the study author is saying. Multiple studies were used in this meta-analysis. 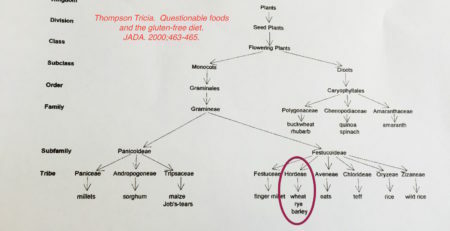 This excerpt is taken directly from the manuscript, “The analysis was conducted combining clinical study results from the following sources: 1) measurements of gluten in stool and urine in non-CD and CD populations; and 2) trial effect and symptom results for the study of latiglutenase.” In the above quote from the study author that refers to directly measuring gluten in food, etc., the author is referring to what is know as the “doggie bag study.” Researchers are not only looking at the gluten content in stool and urine but also measuring the gluten content in food. This study should provide us with more information about how much gluten is being ingested by folks with celiac disease. Sorry to hear about all your problems being a newly Dx Celiac. It is trial and error with some foods. Be a hyper vigilant label reader. Gluten is a hidden ingredient in so many foods. I have almost completely eliminated processed foods unless they are certified gluten free. I have a strict gluten free kitchen. 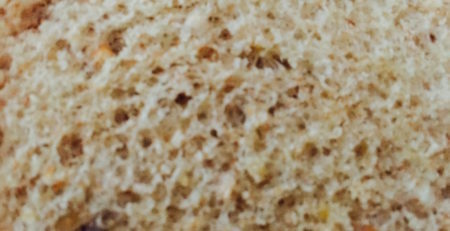 Seperate toasters, cutting boards, refrigerated foods like natural peanut butter and condiments. I had to give up Green Mt coffee for my Kerrigan coffee maker and clean it out throughly with baking soda rinses. Same with the potato chips. I suspect factory cross contamination in both cases. Recently, I was having issues after taking my gluten free calcium supplement three times a day, read the small print on the label and there was maltodextrin in the “other ingredients”. Gluten free? I don’t think so! As always, thank you for your direction and insight. I did not know that maltodextrin did not contain gluten unless followed by wheat. There is a steep learning curve here to fully understand what is and is not acceptable for a Celiac to eat. Sometimes my gut just speaks to me and I listen. The article was indeed enlightening. Thank you!